Following an extensive worldwide search for new bowling green maintenance equipment, Long Beach Lawn Bowls Club in California have recently purchased a Dennis FT610 with 10 blade cutting, verticutting and brush cassettes, cassette storage system and a Bray hand seed slotter. Like many bowls clubs around the world, bowling green maintenance duties and decisions are taken care of by the committee and playing members, including Peter Sinclair, the Club President. 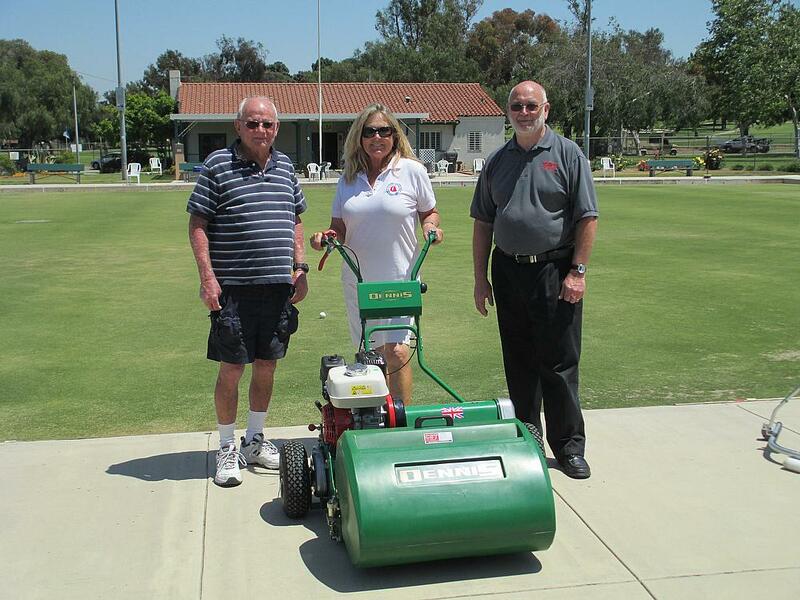 In late 2012, Peter along with club member Stephanie Johnson and Danny Ramirez from the local golf course, who look after the three bowling greens at the club, spoke with Joe Regan of nearby Laguna Beach Bowls Club. Joe had recently purchased a SISIS Rotorake MK5 and was raving about the playing characteristics of the green. The Dennis FT610 professional mower, fitted with the innovative interchangeable cassette system is unrivalled as a mower and turf maintenance machine on all areas of fine turf. A cutting width of 24” and a range of 11 interchangeable cassettes mean that one machine can be used for several key maintenance tasks including de-thatching, verticutting or brushing. The machine was sold by CS Trading, the USA distributors of Dennis Mowers. 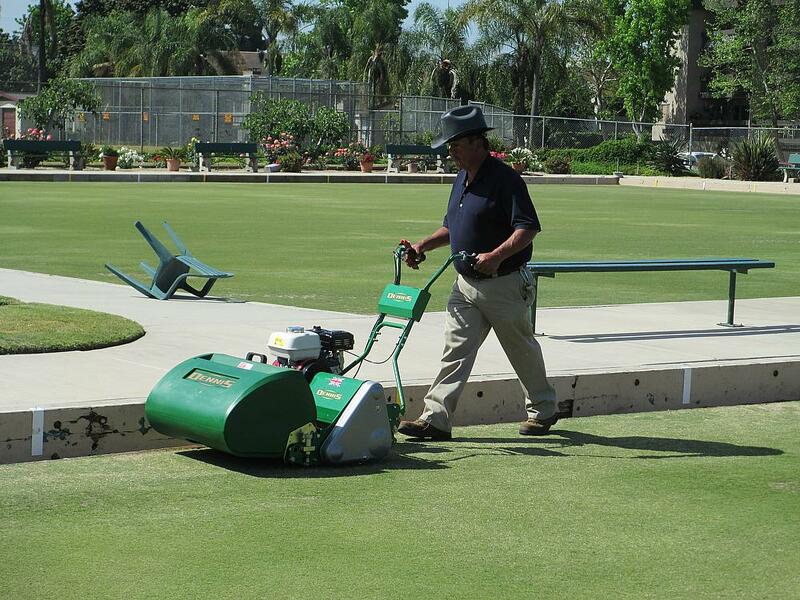 The prompt response to every email & telephone conversation with Ian Camp and his team convinced Long Beach Lawns Bowls Club that the product would be very well supported, taking away the fear of being the first bowling club user in America. Long Beach Lawns Bowls Club has a well-earned reputation for presenting the sport of lawn bowls to hundreds of people and for producing national champions. The club has been used by both divisional and national organizations for international and national competitions.